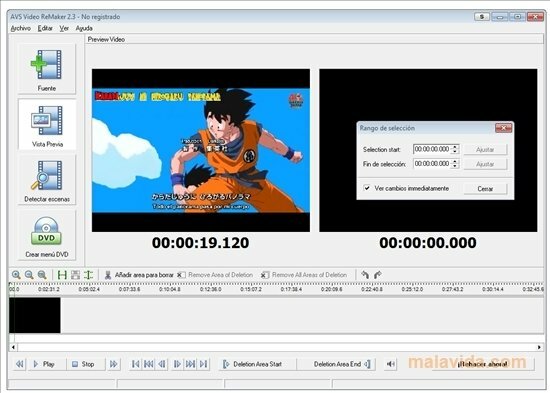 Nowadays, due to all the new technologies that we have available, there are many kinds of different video formats, this is the reason that now and again we may find some compatibility problems, something that can be solved if we have the tools necessary on our computer. AVS Video Tools is a pack of applications that will allow us to edit any film, convert different formats, capture video or prepare the files that are stored on our hard drive to be burnt onto a DVD. - AVS Video Converter: Video converter with hundreds of file customization functions and a simple interface. - AVS Capture Wizard: Application to easily capture clips from any source, whether a TV tuner card or a digital video camera. - AVS DVDtoGO: The ideal tool to prepare files that have been ripped or downloaded from the Internet, with the objective of being compatible with a traditional DVD player. - AVS Video ReMaker: A video editor developed with the idea in mind of eliminating all the scenes that we deem unnecessary (credits, publicity, intros,...) for any film. This suite is compatible with the vast majority of formats available at present, like MPEG 1-4, MPG, DAT, DVD, VOB, VCD, SVCD, H.264, MKV, SWF, FLV, AVI, DivX, XviD or WMV, among others. Several of the applications include presets to convert videos to formats that are compatible with devices like the PSP, mobile telephone or iPod/iPhone. 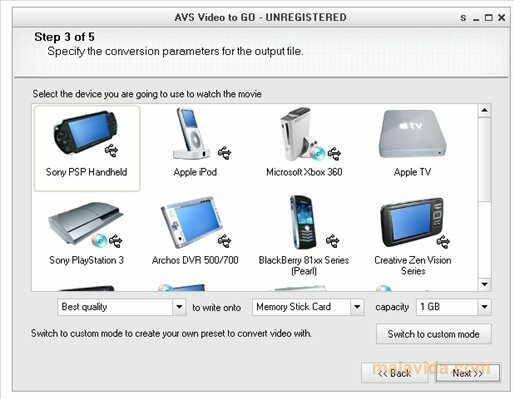 If you want to have all the programs necessary on your computer so as to avoid having any problem with video files, download AVS Video Tools right now.